The Rockets are on a tear during the second half of the season. What does this sustained success mean? Can Houston take this surge into the playoffs? The Houston Rockets are back, and they want the NBA to know this. Since the All-Star break, the Rockets have defeated the likes of Boston and Golden State. James Harden has been the leading scorer by over 1000 points so far. Oh, and the bench additions have played their roles beautifully. While this is great, can the Rockets take this form into the postseason? That is the question all Rockets fans hope to have answered. However, there is hope. After starting at the bottom of the West, Houston has managed to climb all the way back to the number three seed. In fact, the recent surge has Houston not too far off the number two seed. So what does this all mean? It means the Rockets are indeed, a dangerous team. And the entire Western conference is on notice. Even more impressive? The teams that fell victim to the streak. 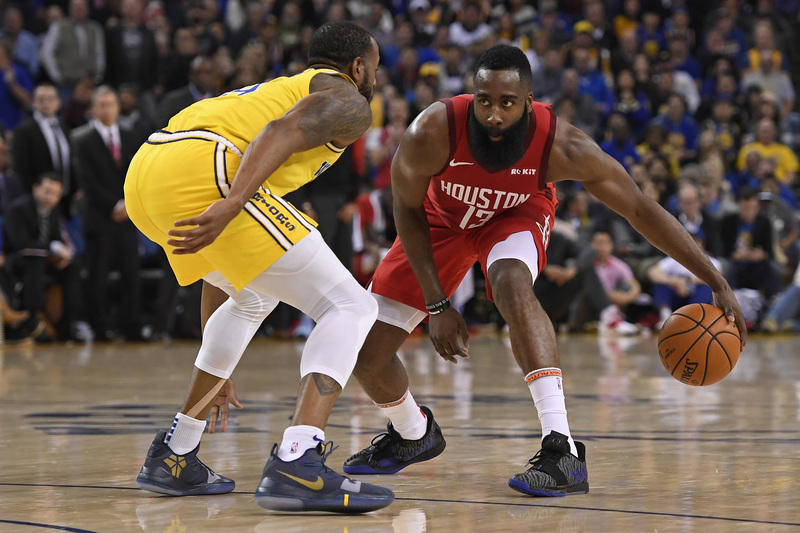 Let’s not forget, prior to the latest loss against the Warriors, Houston was on a nine-game winning streak. One of those teams are at the top of the West, and the other three are good enough to be in the Eastern conference top tier. One more thing to note, The Rockets are 3-1 this season against the Warriors. He has been on fire offensively, however, he has really put some effort on the defensive end as well. But, at one point, Harden was doing it all. Averaging around 40 points per game in January alone. Now his reinforcements have come back healthy. Chris Paul missed some time, Clint Capela missed about a month, and Danuel House Jr. finally resolved his contract dispute. Daryl Morey did his work to redeem himself after a less than stellar off-season. Enter Austin Rivers, Kenneth Faried, and Iman Shumpert. Nice bench pieces to add some wing defense and guard depth. All three have played well in a Rockets jersey. Especially Faried. The “Manimal” has provided the Rockets with some great energy, defense, and rebounding on both ends. Another constant that deserves some real praise is Mr. P.J. Tucker. This man is as rugged as they get in the league. As the defensive anchor, Tucker has been playing his heart out for this team. Another great sight to see is the play of CP3. The man is leading the team in assists and provides a great defensive presence on the guard side. And in general, the Rockets have played much better on defense. Now, all Houston has to worry about is seeding and playoff rotations. In an ideal world, the starting five is projected to be Paul/Harden/Gordon/Tucker/Capela. You can make a case for House to be in the starting lineup, but most likely Eric Gordon will remain in there. Then on the bench, you have Rivers/House/Green/Shumpert/Faried. Not a bad rotation. However, Mike D’Antoni is known for stripping his bench thin. So some of these guys may not see as many minutes. Nonetheless, Houston sits in a decent spot. They rank second in offensive rating, and while not great, they have improved defensively. But what this team can and will try to do, is outscore the opponent. And on a good night, they certainly can. Overall, the turn around has been profound during the 2019 portion of the season. And as things look, the “Kets” are looking to make some noise. This team is certainly the biggest threat to the Warriors. Let’s hope things turn out differently this year. Until next time, Red Nation. For all the latest on the Rockets and the upcoming NBA playoffs, stay tuned to NGSC Sports. Hardworking, loyal, and passionate. I love the people that surround me because they allow me to be who I am. A lover of sports, video games, and life itself. I am a son, a brother, an uncle, and a person who holds nothing but love in his heart. I do this for Rosa Maria Magana and Edward Magana. A.k.a my folks in heaven. Music and sports keep me alive and well.